From left to right: Lachlan Vogt, Matt Leeburn, Uli Klink, Jonathan Hatch, Samuel Russell, Cameron Stewart, Trey Zagante. In April, FinTech leaders came together to discuss the trends, challenges and opportunities of FinTech in Australia. The event’s panel discussion was moderated by director of the Master of Financial Technologies, Dr Dimitrios Salampasis. “We see the rise of FinTech as a real opportunity for us to partner with people developing smart ways of engaging with customers, improving their experience and creating efficiencies in business models,” said Stewart. Co-Founder and executive vice president for Marketing and Product at WORBLI, Samuel Russell, said through blockchain technology, WORBLI aims to be at the forefront of a technological revolution that spans the financial services sector and beyond. The start-ups mission is to develop the world’s most cost-effective and developer-friendly consumer and enterprise blockchain platform. “Our vision for WORBLI is one bank for every currency and also for all digital assets. There was no existing infrastructure for this, so we set out to build our own. 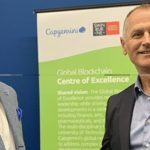 There are nuances of blockchain that can really benefit how organisations operate today,” said Russell. Chief commercial officer of Moula, Matt Leeburn, said data is at the core of how his company operates and differentiates itself from traditional lenders. Moula was founded to help business owners in Australia access the funding they need to grow.